On Monday, my husband headed to work, and I started off the morning shopping close to our hotel. There are a few department stores and shopping centers close by and I wanted to start there, then explore. This is the inside of the Queen Victoria Building. It was originally intended for a shopping center, though it looks like the inside of a governement building or royal palace. The shops in this building are very high-end, not exactly my cup of tea. I did buy a cross-body purse at a store that sort of reminded me of Claire’s from back home. I know that makes it sound like my purse is awful, but it it super cute, I swear. Once I’d had enough of the over-priced shops in the area close to my hotel, I took the advice of my long lost relative from Germany, Svenja (she has the same last name as my maiden name, not so common), and headed out to Newtown. I didn’t take any pictures for fear of looking like a stupid tourist, but I borrowed this one from here. I took the subway (train) by. my. self. I’ve never been so independent in my life. Remember I’m from LA? It was great and gave me so much confidence to explore the rest of Sydney on my own. 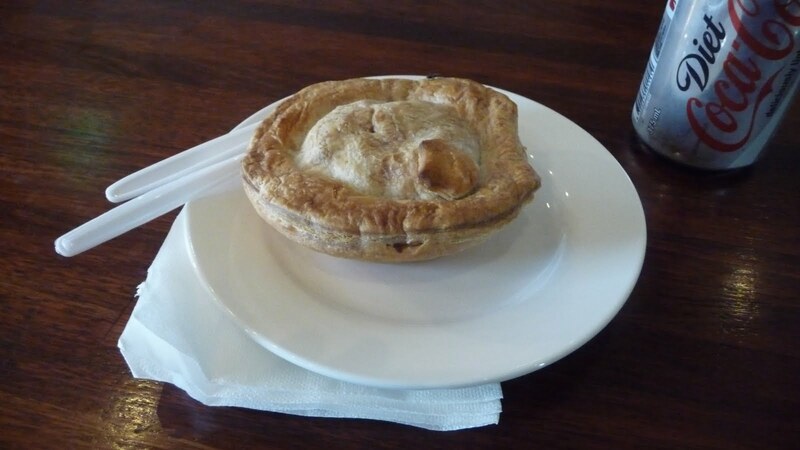 I also had my first meat pie. In Newtown, I found a very cute, very inexpensive, long-ish black peacoat. I have been wanting one like it for a while and am so happy I found it early on in the trip so I could wear it while we’re here. It is winter in Sydney, but so very summer back home. Once we get back to LA, I won’t be able to wear it until November. 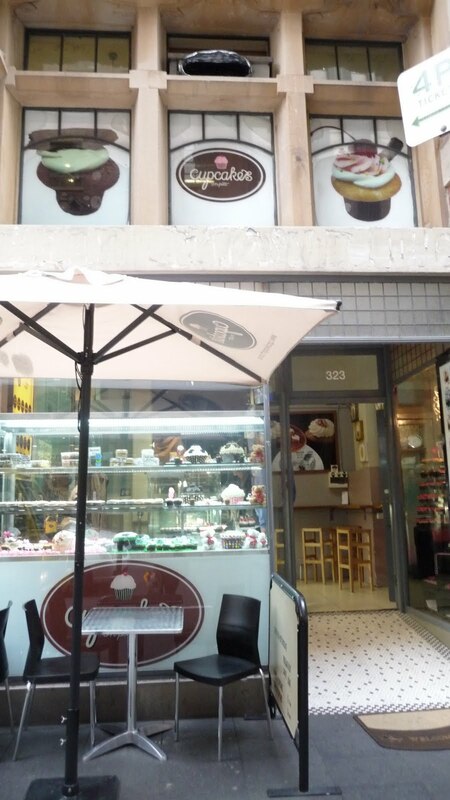 When I got back to “city” as they call it here (like “downtown”), I stopped at this cupcake shop, another reccomendation from Svenja. The cupcakes are tiny, which is perfect because I’m terrible at making decisions. I got two for me and one for my husband. I even picked up a little carton of milk on the way back to the hotel to enjoy with my cupcakes. YUM. 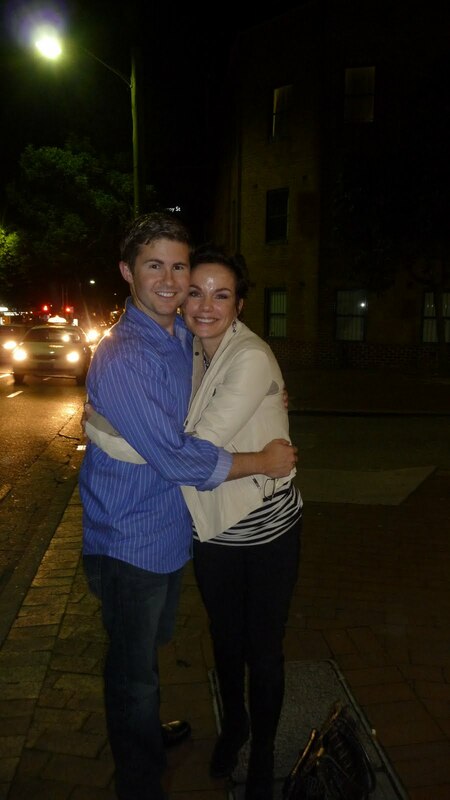 After a rest, we had dinner in Surry Hills with Sigrid Thornton, who worked on a TV show with my husband when he was five. We ate at bills and had a lovely meal along with wonderful conversation. It was so nice to meet Sigi; she was so kind and generous. She talked about the show that she and my husband worked on together and about her family in Melbourne. She gave us some good recommendations for food and sight-seeing and gave us the best gift of all: tickets to her show for the next night at the opera house, A Little Night Music! She is kind of a celebrity here! Not like our A celebrities, but the people at the restaurant knew her and Mike's coworkers were jealous of us :)Thanks for the great tips Svenja! I have two days left, anything else I should see? Where is the best seafood?